For information about our projects and activities, click on the pages listed on the right. We are community champions who stand up for our communities both locally and overseas. We support those who need help, we strive to improve lives and we bring about positive change in our neighbourhoods. Every event, initiative or project that we run – whether it is local, national, international or online – is rooted in the notion of community. This is because we believe that society works better when communities work together. Our experience and skills in community work and volunteering place us in an ideal position to work with organisations such as local businesses, charities, universities, schools, hospitals and environmental groups to support a large variety of good causes. These range from helping at food banks, assisting those affected by flooding, fundraising for local hospices, organising sports tournaments for disabled youngsters and running memory cafes. 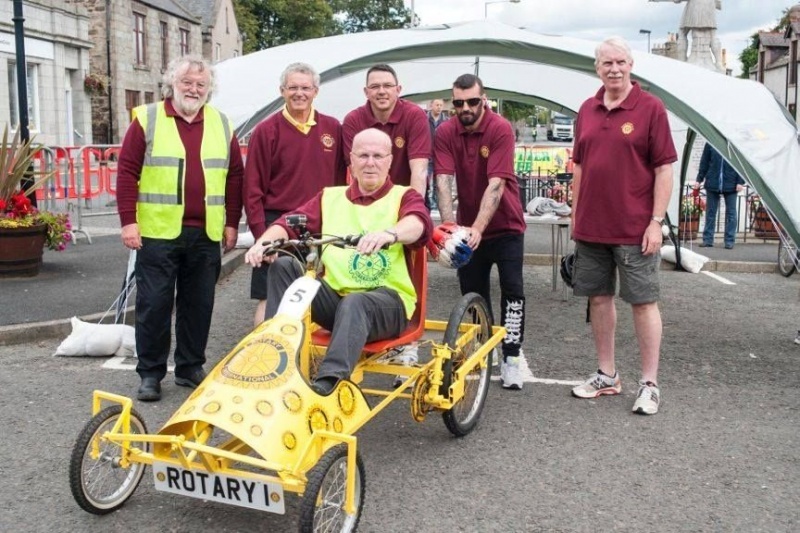 As well as supporting young people on programmes and encouraging them to take part in competitions, many clubs are busy organising annual events such as marathons, classic car rallies, sponsored walks, spring fayres, Christmas festivities and looking after the environment in their communities. Others run regular quiz nights, organise concerts, provide lunches for the elderly and help out at music festivals. A great many more take part in our national partnerships such as Children in Need, blood pressure testing days and providing days out for disadvantaged young people. This is an annual event to involve local communities in a sponsored swim to raise funds for End Polio Now and local Charities. For more information and help, please contact Malcolm Rooney - link at the bottom of this page.